vi. 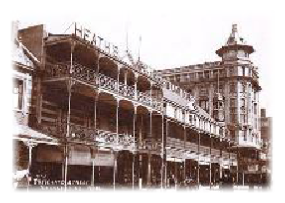 The placing of descriptive plaques on buildings or other places of historic interest in Port Elizabeth and district. vii. To disseminate the results of its work in the widest possible manner by the publication of a bulletin or journal, or by any other means. viii. To undertake the organization of lectures, film showings, exhibitions and visits to local historic sites. ix. To co-operate or associate with any other organization whether local or national having similar interests and objectives. i. To foster and promote interest in the historic past of South Africa, particularly of the Eastern Cape Province and more particularly of the Port Elizabeth district. ii. To encourage and assist in the collection and preservation of historic relics and in the exhibition of such items at such places as are deemed to be most suitable. iii. To encourage and assist in the collection and preservation of information and records of historic importance and in making such records available for study or research purposes. iv. To stimulate interest in historic research and compile a “location” list of original sources to facilitate this work. 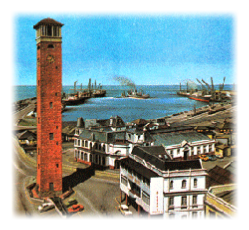 v. The acquisition, whether by purchase, exchange, or otherwise, and the hiring and preservation of land, buildings, monuments and relics of historical interest in Port Elizabeth and district and to borrow money for the purpose of such acquisition or preservation whether on security mortgage bonds or otherwise or without security.